I know it wants to kill me. To you it looks like a plastic sack, innocuous but for the strange fact that it sits at the end of the Miller’s driveway, open and empty—gaping like a set of hungry jaws. I saw it on my run this morning. Back then it was down at the corner, stealthy in the shadow of a blown street light; watching me. It didn’t follow. No, not then. But I saw it listing west, as if sensing a coming breeze. I knew the second my back was turned it’d be spurling after me—a manmade tumbleweed with a deadly mission. They can kill, you know. It’s not hard to imagine. Three micrometers may not seem like much, but when it’s slicked against your face like some unholy caul, leaving you with only one-half a miserly breath, well then—you’ll know. After I dropped my son off at practice, I saw it again. This time closer—three driveways down—sitting still. But open. Plenty of room for a head in here, it says. I could pull over, grab it, crumple it into a bland ball and stuff it into the recycling container. But even if it stayed there—I know better. Like an army of damned, like countless minions, they’d issue from the very bowels of the landfill to come after me. You could have stopped it, they’d chant. And it’s true. The plastic ban was up for referendum nine months ago. I didn’t go. I didn’t vote. Not my problem, I thought. I use cloth bags. I sashay into the HyVee every Sunday toting six of them. Right now they’re lying flat in the back of my mom-car, ready to do their duty to produce and the environment. I didn’t cause this. But now. I look outside. 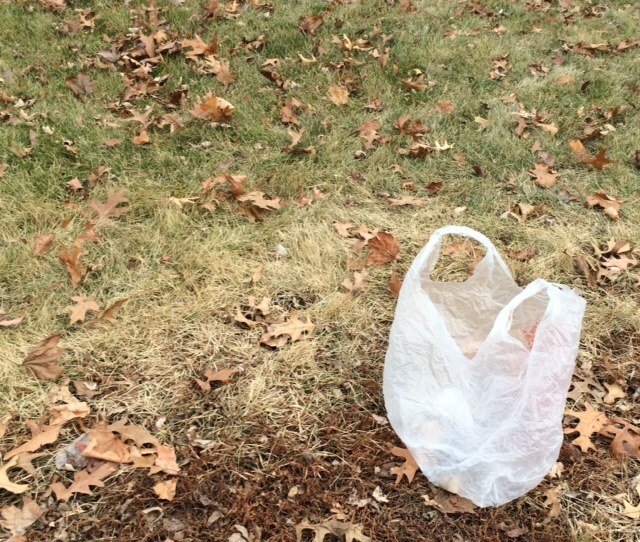 The plastic bag—it’s there—skulking in the shade of the sugar maple, next to the hydrangea I put in last spring. Grinning wide and waiting. Come inside, it says. It’s warm. And then cold. Dear God, I should have voted. NOTE: If you enjoyed this post, be sure to check out the inspiration for it: Fred Colton’s Of Course He’s Going to Kill Me.